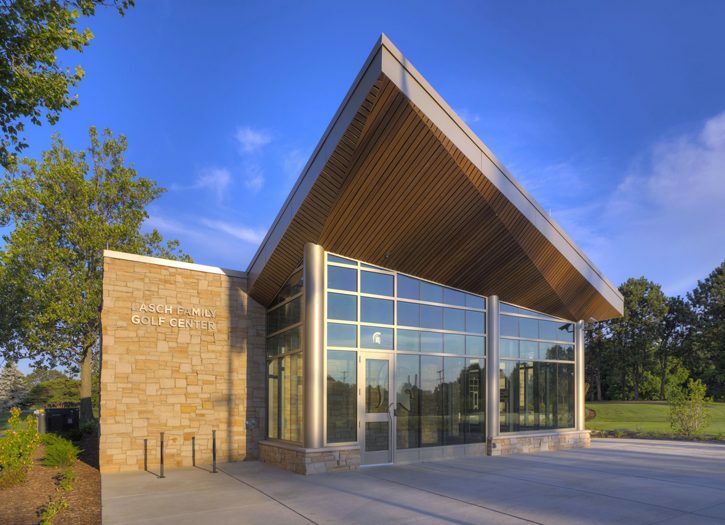 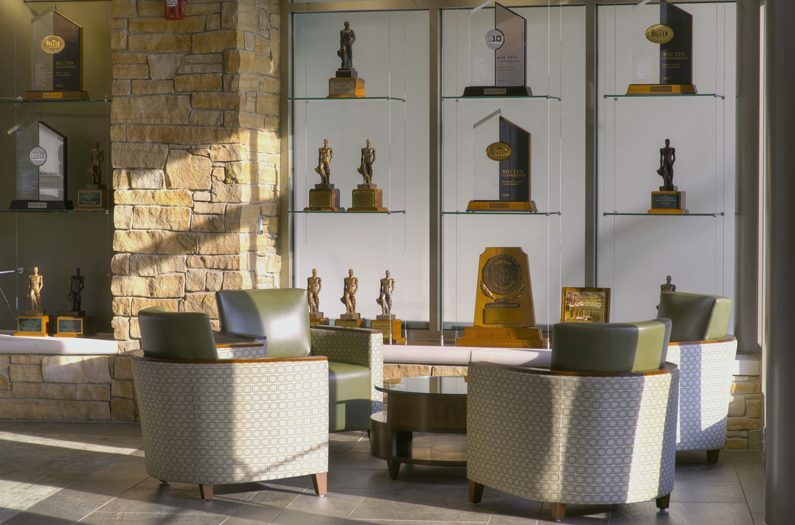 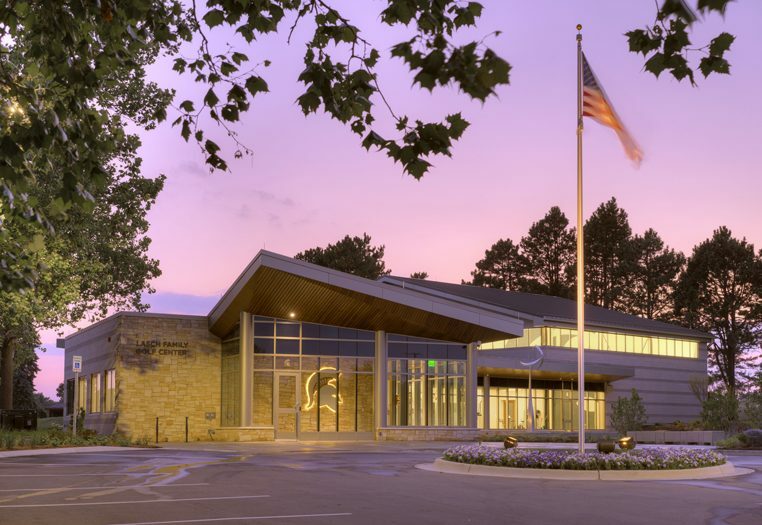 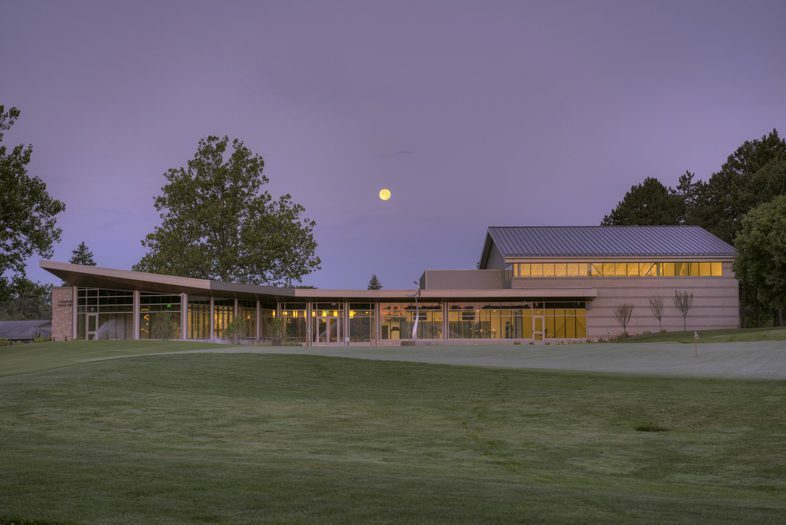 The cutting-edge Lasch Family Golf Center serves the highly ranked MSU men’s and women’s golf programs, offering an iconic, sophisticated and welcoming home for training, studying and socializing. 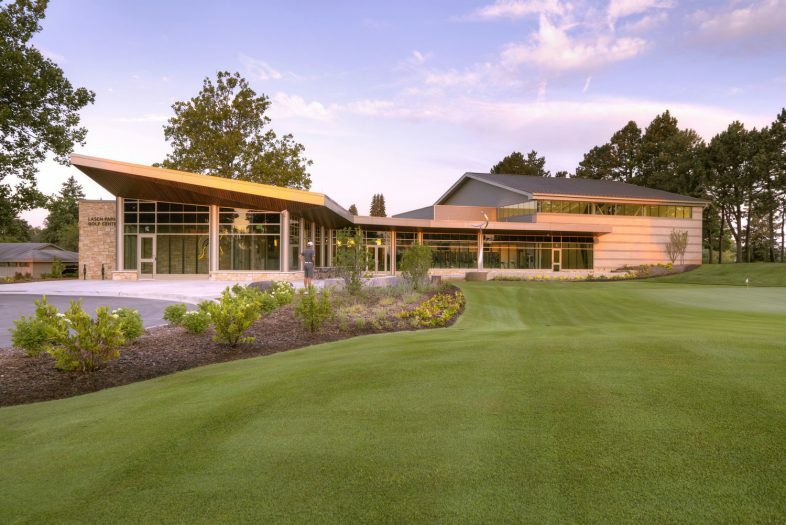 Located next to Forest Akers West Golf Course, this new 14,888 SF training center features an indoor putting zone, team locker rooms, coaching offices, and a modern student-athlete lounge. 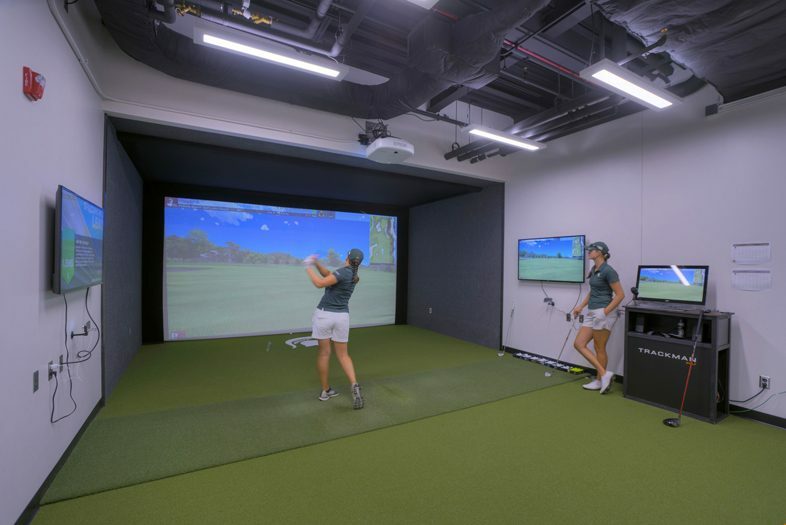 It also offers a high-tech simulation room, weight room and kitchen area featuring nutrition/hydration stations. 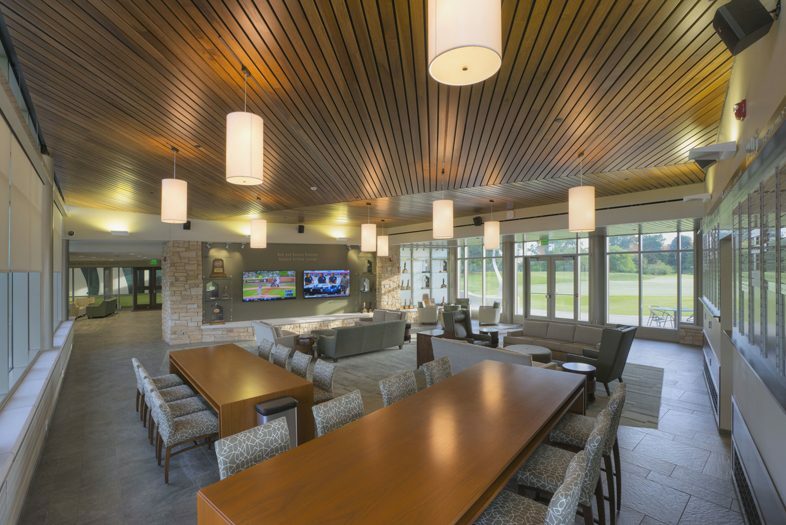 The lounge features multiple spaces to study, eat, and congregate. 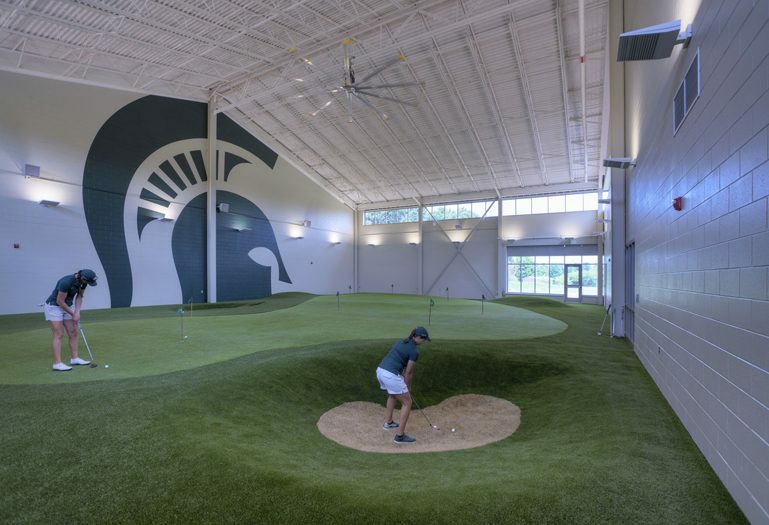 A 5,000 SF indoor putting and chipping green offers multiple terrain simulations that can be regraded to offer limitless training possibilities throughout the year. 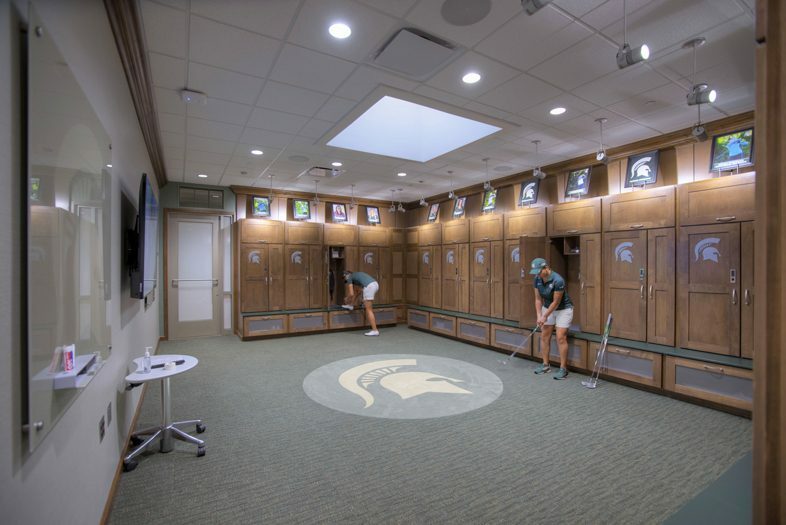 Sophisticated locker rooms offer a spa-like feel while meeting the required durability. 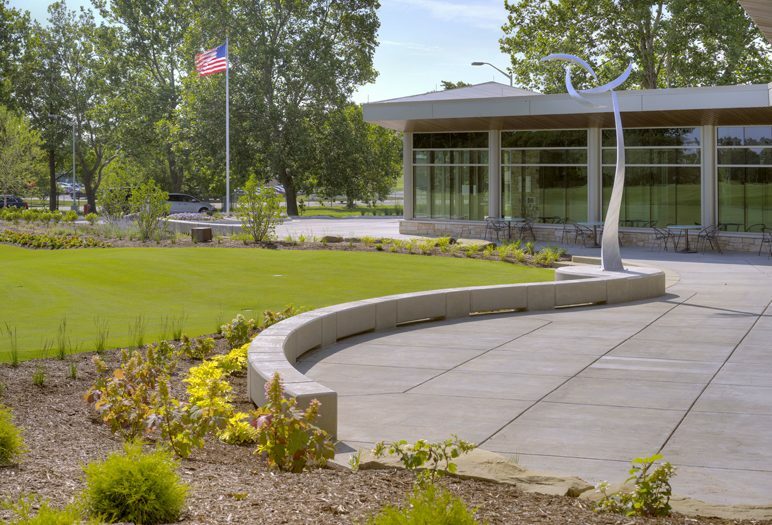 The site includes the “Three Moons Rising” sculpture by Jeff Kahn, the first wind-driven sculpture at MSU.